you can. Conventional apples are sprayed with pesticides. 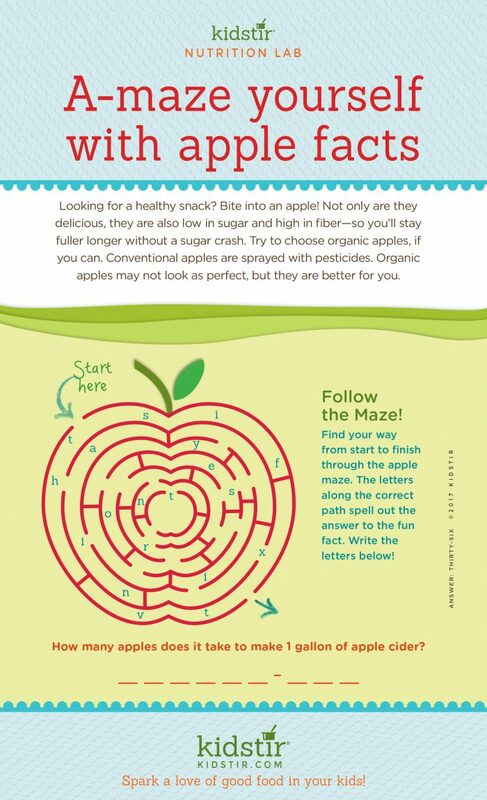 Organic apples may not look as perfect, but they are better for you. fact. Write the letters below! How many apples does it take to make 1 gallon of apple cider? If your kids really love apples you’ll want to take a trip to the orchard to pick your own apples for a fun family activity. How about a simple recipe for Applesauce Muffins? Or try apple cupcakes by adding some natural red icing. Want to know when apples are in season? We have a fun “What Fruit is in Season?” infographic to help you get the freshest and juiciest apples. 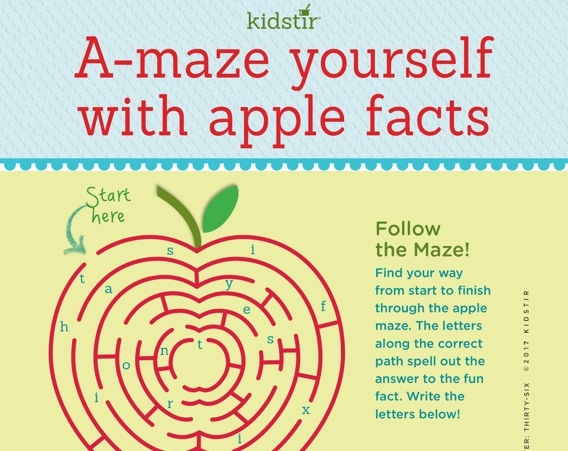 We’d love to offer Kids our “Apple Facts for Kids” infographic for you to share on your blog. Just select and copy the code snippet below and paste into your next blog post. We’d love for everyone to share this page on social media or email by using the buttons below to share our Apple Facts for Kids Infographic!